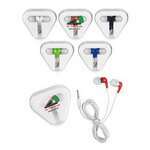 The Mini Ear Buds are convenient to carry along with you. They have a 48" cord length. 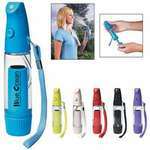 Keep your customers cool, calm, and refreshed at any time of the day with the Mini Personal Mister. 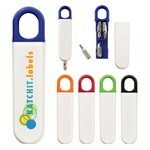 Imprint your business logo on its 100% lead and phthalate free ABS plastic container. 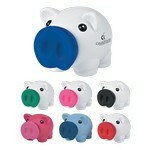 The cute little Mini Plastic Piggy Bank will have both adults and children reaching to it, to feed it with currency. 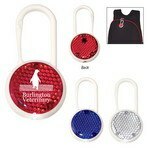 Add your company’s logo on the piggy bank using pad-print imprint to bring tons of attention to your brand. 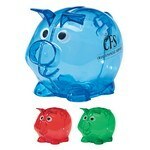 The Mini Prosperous Piggy Bank is a cute little promo tool that will not only encourage small savings but will also leave a positive impact of your brand on the recipients’ minds. 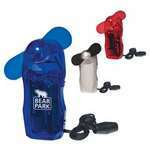 Add your company’s logo on the piggy bank using pad-print imprint to bring tons of attention to your brand. 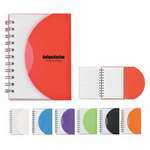 The Mini Spiral Notebook can be placed in your pocket or small bag and conveniently used whenever required. 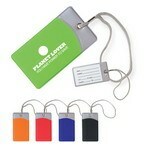 It features a 60 page lined notebook with flaps. 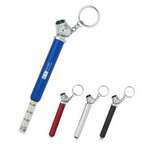 The Mini Tire Gauge Key Chain combines the utility of a key chain with a portable tire gauge. 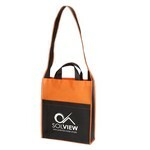 Add your company’s logo on this cost effective promo item, to boost your brand value. 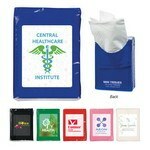 Carry the Mini Tissue Packet in your purse or briefcase and deal with minor hygiene problems, without a care in the world. It contains 10 tissues in an easy to grab and go packet.